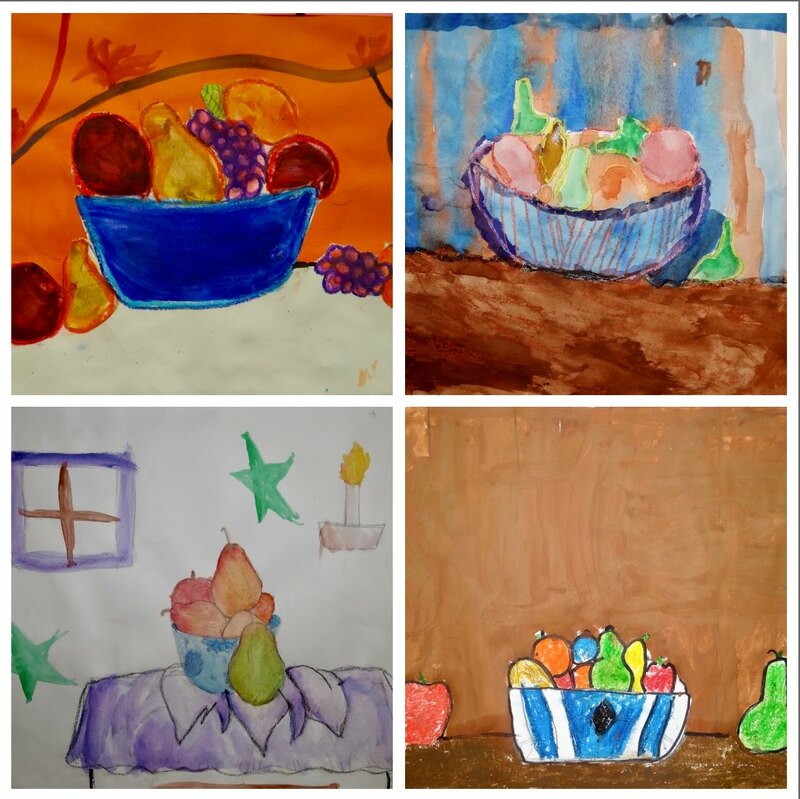 Plum Cove Fourth Graders worked hard to create their individual Cezanne inspired Still Life Compositions! They learned about the life and works of French Post-Impressionist artist, Paul Cezanne and worked from a still life to paint, draw and collage their masterpieces. They were inspired by Cezanne's message that you, as the artist, have the right to pick and choose what elements from the still life you want to include in your work, or add if desired. Each work is unique and reflects the creative process of each student.